In 2009, realizing the synergy between network lighting and utilities, Utility Metering Solutions partnered with Texas based XtraLight. The combination of UMS’ network and controls expertise with XtraLight’s lighting solutions led to the formation of the nation’s most respected full-service systems integration and automation group. Together, UMS and XtraLight possess the knowledge, experience, and resources to help manage water, lighting, and energy systems more effectively and intelligently. 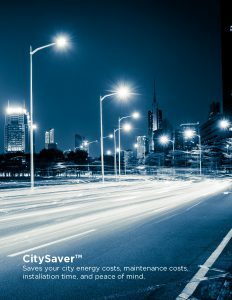 In addition to the benefits a modern AMI system can deliver, implementing network lighting solutions helps to reduce energy consumption and costs, enhance public safety, and improve customer service. UMS’ installation and systems integration expertise combined with XtraLight’s 30+ years of experience with the design and manufacturing of custom lighting solutions for industrial, commercial, retail, and municipal applications, makes this partnership a no-brainer. Cities aren’t the only ones who benefit from network lighting. Implementing smart lighting controls is one of the top things campuses can do to conserve energy, reduce maintenance costs, and, most importantly, improve campus safety. “On and off” are no longer the only options for campus lighting. With smart lighting controls, users can synchronize campus lights with sunrise/sunset, and brighten or dim according to needs. In addition to the environmental benefits, using less means spending less. Lighting controls allow campus maintenance crews to remotely monitor the system and quickly identify fixtures in need of repair. This not only saves time, but reduces maintenance costs as well. Campus safety continues to be a top concern when choosing a college or university; students and their families want to know what is being done to ensure a safe and protective environment. Smart lighting controls are one of the easiest and effective solutions available to implement on campuses.